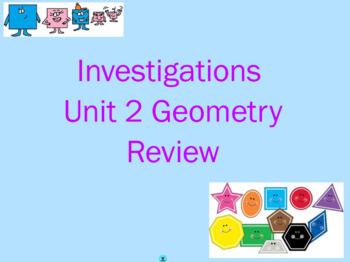 Download this flipchart to review with your class before the end of unit assessment. 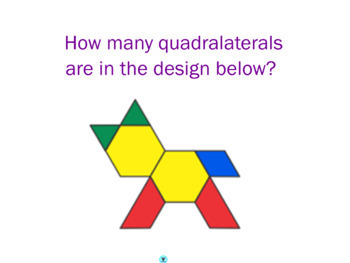 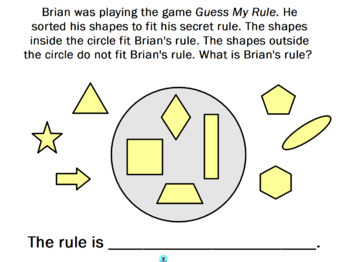 Students will need to identify attributes of shapes as well as a rule based on the game "Guess My Rule". 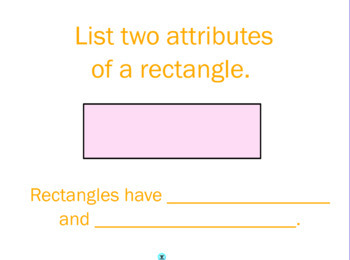 Good Luck to your class when they take their Geometry Assessment.